Dr Abdullah A. Kafi is a talented scientist. He is a Research Academic, Carbon Fibre Processing and Manufacturing of Composites, in the Australian Future Fibres Research and Innovation Centre (AFFRIC), Deakin University, Australia. Following a Bachelor in Chemical Engineering and Polymer Science degree from the Shah Jalal University of Science and Technology, Bangladesh; Dr Kafi completed his PhD in Materials Science and Engineering (Composites), from the Institute for Technology Research and Innovation, Deakin University, Australia in 2010. In 2004–2005, as a Research Assistant, Polymer and Hybrid Composites, he served the Radiation and Polymer Chemistry Laboratory, Bangladesh Atomic Energy Commission in Dhaka. 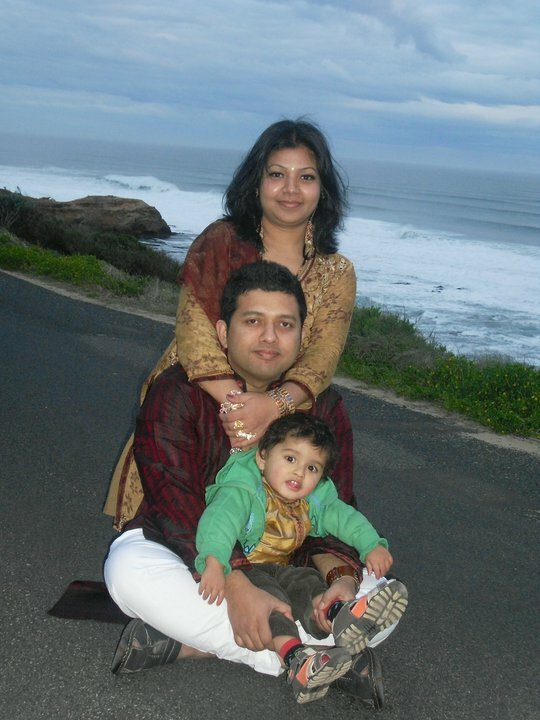 Currently, he lives in Melbourne, Australia with his son, Rayan; and wife, Shimul. "I was born in Brahmanbaria district and left my birthplace when I was 2 years old. We are two brothers and one sister where I am the eldest. My younger sister is just looking after her family like my mother who continuously given tremendous efforts to build our family. My younger brother is completing his MBA and also working for Banglalink telecommunication Ltd as an Icon Manager. My father recently retired as a project director from Platinum Jute Mills, Khulna, and I am currently living in Australia with my 2 years old son and Wife. My wife is a certified home and community worker specially trying to help elderly peoples and also peoples with disabilities. I am currently working for the university as a research and teaching academic and as of August, 2010, organising events as a secretary on behalf of Society of Plastics Engineer (SPE), ANZ." 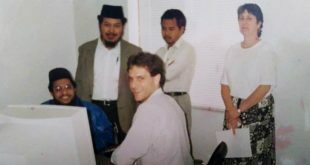 SI: Dr Abdullah-Al Kafi – welcome to biggani.org. Tell us your childhood and the most inspiring childhood memory. AK: I passed a major portion of my childhood within the industry controlled residential area as my father served for several jute mills under the Bangladesh Jute Mills Corporation. Due to his commitment; we were to travel and live in several districts around the country which given me an excellent opportunity to mix with peoples from various classes (from industry worker to CEO) and also peoples having different religious background. During that time, I can remember, my father had lot of dreams with jute fibre, in 1990, he predicted that the peak time of golden fibre jute will be over if proper initiatives are not taken to diversify its products. A deep realisation and empathy has grown in my mind from that time which is still inspiring me to do something best for the community through my study and research. SI: What do you miss in your child's childhood that you enjoyed most in your childhood? AK: I specially miss those times passing with my families including fishing, long talk within dining tables, playing badminton, seeing some movies together and specially the continuos sounds of weaving or spinning machine around the jute mills. SI: What are your critical research findings and how do they impact to innovation? AK: During my PhD, I studied the fundamental principles common to some statistical thermodynamic models to understand the underlying mechanism of wetting and adhesion in composite materials. I successfully utilised those models and predicted the quantitative interaction between the reinforcement (fibre) and polymeric resin (matrix). I also optimised manufacturing process and treatment condition to produce high quality biofibre reinforced composites with improved interface. I have been successful so far in introducing jute to international scientific and industrial community and my work proven jute as a potential reinforcing fibre in composites when compared to its counterparts. SI: In light of your research, do you think we need more socially responsible teacher-student and education-business model to address our emerging issues like extreme economic inequality in the ever connected integrated community? AK: From my little understanding, there should be existing little gaps between teacher and student in order to address extreme economic inequality. For example, when I was studying, I was always so respectful to my teachers that never allowed me to sit in front of them. I found that interaction actually pulled me behind from understanding the actual significance of some topics. I observed the opposite scenario in Australia where there is an excellent relationship between teacher and student allowing students to learn anything in a better way then I experienced in mine. SI: Today only 5% of people have command on 95% of world's wealth. Many people live in poverty. Has our education failed to build a civil society in our global village? How can we overcome such extreme inequality in our interconnected economy? SI: I feel empathy is the missing link in our contemporary education system to build a civil society. What do you think? Do you foresee any change in our education system to build a more socially responsible future generation? If so, what form of education model do you recommend to address this issue? AK: Our education system is always offering some extra loads to the students I should say. We need to try to make our foundation from the primary schools, rather than creating pressure to learn big books or encouraging them to compete for better schools. We might need to teach them how to solve maths and also how chemistry works in our daily life. Better to make their study interesting by introducing some practical demonstration and real life examples. SI: Prof. Yunus envisions one day we will see poverty in the museum. Can micro-credit eliminate poverty? If not, what are the other alternatives that can make a difference? AK: Prof. Yunus envisions obviously opened a new door for peoples who were struggling with the poverty. I am not the right person to make any comments on his work rather I should say the situation needs proper monitoring on a regular basis just to make sure that helpless peoples are not scared of paying high rate of interest imposed by the authority. SI: Only a few universities existed in Bangladesh not a long ago. Now we have more choices, but, many people question about quality. They see education is more business than building more socially responsible students who will transform our future with empathy and equality. What should Bangladeshi universities do to build a better tomorrow? AK: I would suggest our authorities to stress more on research than teaching, to organise more practical work placement linking with the industry. I also think the recruitment of university faculty should be based on research and academic achievements than political consideration. We also need to attract a significant number of brilliant national working overseas so that they could also contribute to teaching and research. Finally, I should emphasize on establishing professional between local universities and also to monitor their performance on a yearly basis and to set a same performance indicator to all of the universities. Government should take prompt initiatives in banning low performing universities and the faculties who are doing teaching only for business. Bangladeshi Govt. also should make sure that faculties within public universities are well played and also have enough research support to establish a new research area. SI: How do you like your current research commitments? What are your research challenges? How are you turning the challenges into opportunities? AK: I am still trying to sort out how the actual fibre making processes can be simulated within the bench scale laboratory environment. I also found that there had been a lack of proper understanding in the quality of raw materials and information provided in current literature is highly restrictive. To overcome the challenges, I have been given continuous efforts through interaction with academic and industry peoples, reviewing literature to design own experimental methodology, and preparing for trial and error experiment to achieve my target within the set deadline. SI: What is your advice to a prospective student/teacher who has a dream for higher education and changing the world? AK: I would say we should love and respect to our study or work and try to become persistent with true commitments. We should never be influenced on what other peoples are saying, better believe in ourselves and achieve the level of confidence by continuous efforts. We should never feel that we learned a lot as life is a continuous process of learning. SI: We appreciate your valuable time today. We look forward to our face-to-face meeting and interview. Anything do you like to add? AK: It has been excellent answering your question Shafiul. I look forward to interacting more with you in future. Thanks. SI: Thank you. Wishing the very best of your endeavors. 4. Abdullah A. Kafi, and Bronwyn L. Fox, “Enhancing the Fiber-Matrix Adhesion in Woven Jute Fabric Reinforced Polyester Resin based Composite”, Contact angle, Wettability and Adhesion, 2009, Vol 6, pp.377-390, K. L. Mittal (Ed. ), VSP, Leiden, The Netherlands. 5. Abdullah-Al-Kafi, M.Z.Abedin, D.H.Beg, K.L.Pickering and M.A.Khan “Study on the Mechanical Properties of Jute/Glass Fiber Reinforced Unsaturated Polyester Hybrid Composites: Effect of Surface Modification by Ultraviolet Radiation”, 2006, 25(1), 575-588, Journal of Reinforced Plastics and Composites. Wonderful! Life is a continuous process of learning. Thanks for your inspirational thoughts.